Since the inauguration of the South African National Lottery it has paid out over one hundred of millionaires since 2001. The (NLDTF) National Lotteries Distribution Trust Fund gave out donations of over R14.1 billion to disadvantaged charity causes to research, the arts, sports and recreation centres and education. The distribution of Trust funds has been without argument and the process of applying for funds is now currently undertaking by a renovation process for new funds submissions. 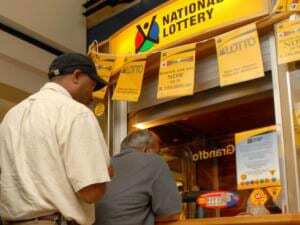 The National Lottery is functioned by Gidani, over seen by the National Lotteries Board. Gidani also offers numerous other products services including, the Powerball, Lotto Plus (On Wednesdays) and WinaManje scratch cards. The work done is a joint venture with the Greek company is called, Intralot South Africa (Pty) Ltd.
Lotto tickets can be bought at any one of the thousands of Lottery retail outlets around the country of South Africa from as little as R3.50. there are many different kinds of games and ticket available and this including quick picks, scratch card, multis and syndicates. The South African National Lottery first main draw is a 6/49 format which means that gamblers need to choose 6 numbers from 1 to 49. All the six numbers must matched with the live draw in order to win the jackpot. The odds of winning are 1 in 206,685, 984. We update this page with the latest lotto results a hours after the draw takes place every week. Make sure you bookmark this page so that you can check and match up your lotto numbers.